Peter Yarrow, of Peter, Paul and Mary (PY) was recently interviewed by Henry Levy, publisher of the Jewish Post, Gloria Starr Kins, publisher of the Society & Diplomatic Review, and Kahraman Haliscelik, a top U.N. correspondent (JP) discussing his organization, Operation Respect and his historically of being an Ambassador for Peace. JP: Children learn from their parents. What have you learned from yours about getting involved in humanitarian and charitable efforts? PY: My mother was a very progressive woman. She was a school teacher focusing on English, speech and drama at Julia Richmond High School in Manhattan. An idealist who immigrated at the age of three from the Ukraine and a single mom bringing up two children which took a lot of hard work and courage. She was a member of the teacher’s union at a time when unions were viewed unfavorably and those who wanted to unionize were considered subversive. My mother also was a member of Planned Parenthood. To her it was not a matter of a commitment to one ideological position or another. She felt she just wanted to see greater fairness in the world. She influenced me extraordinarily, of course, and was a great humanitarian and an excellent teacher. The value system of my mother was mine. She never felt material things were important. What was important was learning. It was a Jewish family. There was money for education of every sort. There was money for music lessons, summer camp and for her children, but not for jewelry or Rolex watches. She never stopped working. She was really focused on things of great importance. This is where my value system arose and my commitment to being an activist was what she embraced. My father, interestingly enough, whom I did not see from age 5 until I was in my mid 30’s, shortly before he passed, was originally progressive as well. He also emigrated from the Ukraine at age 16 with no knowledge of English. But like many ambitious and energetic immigrants he went ultimately to Columbia Law School. He joined D.A. Hogan’s office and changed his political stripe. He became involved with Tom Dewey, and during WWII worked for American espionage in the Balkans. After the war he was essentially involved in creating Radio Free Europe and the embassies in exile, becoming very renowned in his work. But he didn’t affect me in my perspective at all due to that 25 year gap when I didn’t see him at all. My mother was a big influence in my going to sing with Peter, Paul and Mary at the March on Washington in 1963, being part of the civil rights movement, going to the Selma, Montgomery March and continuing with our efforts in the anti-war movement in the 1960’s and in the 1970’s to stop the war in Vietnam, which PP&M felt was immoral and unjust. Then we participated in the anti-apartheid movement, the movement for self-determination and democratization in Central America and the environmental movement plus many other campaigns. So, that is the backdrop for the evolution of my current work, and it was a solid foundation. Interestingly, Mary Travers background was also progressive. Paul Stookey was from the Midwest and did not grow up with that perspective from his parent, but he embraced the things that Mary and I embraced. JP: What inspired you to do something about anti bullying? PY: My foundation, Operation Respect, is really an extension of the same kind of work done in the civil rights movement and the other movements of which we were a part. Interestingly enough the idea of respect itself, if you examine it, was inherent in all the other movements. The civil rights movement was about a very virulent form of disrespect, called racism. The women’s movement was about respect for women before the law, in terms of them being able to take their place in society … their reproductive rights … etc. Respecting women, respecting people of color, respecting the environment, and respecting the next generation, it all boils down to respecting the next human being. As a child, I was offended by the cruelty of children emerging as they targeted other children. I could not understand how one child could be gratuitously mean spirited towards another child for no reason at all. What really precipitated Operation Respect (OR) was the discovery of the song, Don’t Laugh At Me (DLAM), which I didn’t write. It was written by Steve Seskin and Allen Shamblin and it is an amazing song that really reaches the heart and has a profound effect as the anthem of the Don’t Laugh At Me Program which is established in many countries. Also, 22,000 schools in the United States have currently adopted it to one degree or another to deal with bullying. The work of OR and DLAM, which uses music in a very profound way to create community, is in a way standing on the shoulders of the civil rights movement and the other movements because it too seeks justice for children in their own context, in their own homes, and in their own schools. My hope is that kids don’t have to inherit and repeat the mean spiritedness and the cruelty and the hatred and the fear that surrounds us and can be relieved of that burden if they are given the tools when they are young enough, and that is what OR and DLAM does. My commitment is not just to eliminate bullying and disrespect and ridicule. My commitment is in creating something positive, not just the elimination of something negative. The creation of an environment that is peaceful and caring. And it is because that is our approach, you can really look at OR and DLAM as a peace building initiative, because it is the resolution of that problem to the creation of a mentality and a spirit and a series of human dimensions of exchange that personify peacefulness. Countries have called us and said “We want to bring it to our country; we have problems with our children’s cruelty. We have problems with our children who commit suicide and are distressed and it is becoming ever more serious.” When they call us we are available and we’ve gotten strong help from the U.S. Embassies abroad. Our next focus is to bring our program to Japan, a country with a suicide rate double that of America. JP: What are the efforts that you are making in Israel? PY: We are working in Israel and Palestine now. In Israel we started with 4 schools, then 30 schools and now we are in 58 schools. The program is translated into Hebrew as well as Arabic and funded by the American Embassy in Tel-Aviv. It is not proposing peace but it teaches children the skills of building peace in their own lives and that can translate into a perspective that they can bring into adulthood. We just started our first two schools in Palestine. When I came back from my trip to Israel, I told my Jewish friends about this effort, that we are going to Israel to teach the kids so they will grow up to be more sensitive, caring, aware and peace loving, they said, “Huh, we are not going to help you and it will not do any good unless you go over to Palestine, where they grow up to hate Jews and Israelis.” I told them they were right. We have to go everywhere. There is a tradition among a minority of the Palestinian and Israeli populations that is so convinced the other population is hell bent on destroying them. How do we break this? How do we change this? Well, through education. Young people are ready to say we don’t have to continue that cycle of hatred and fear. They want to work out their differences and they are far more capable of doing it than adults, who are so riddled with fear and hatred now that it is very difficult. I say this as a person who is Jewish, loves Israel, wants Israel to survive as a democratic Jewish state … unless there is a resolution, the demographics alone will make it all but impossible for that to continue to be the case because the population will not be Jewish. JP: Are there any other projects you are working on concerning Israel? PY: What I’m working on now is a dual concert, where there would be world famous singers on both sides of the wall, along with Israeli singers and Palestinian singers. If enough progress is made, maybe they would sing together instead of being separated. By the time we do this, in late spring, we hope that these are the kinds of cultural diplomacy moments that can change the atmosphere and it is my hope it will be something that can be incredible. I’ve had conversations with peace organizations and peace activists on both sides for the past year and there is a lot of momentum to make this happen. The concert will be Christians, Jews, Muslims, Druze … everything. It will be like a march with people making a statement of why there are there. Hopefully people like Joan Baez, Pete Seeger, if he is up to it, even Billy Joel has expressed interest, will wish to sing for peace to both audiences. My hope is by singing together we can supersede animosities with a spirit you can feel profoundly. I’m not going to stop the dialogue. I’m going to stand up for what is wonderful about Israel and not let what I consider to be a destructive policy destroy my commitment to making Israel all that it can be, fulfilling the promise of the creation of the Jewish State. And I have the same feelings about the Palestinians. As Jews, when we have a Seder, we remember that we were slaves in Egypt and we inherently say that anybody that has been enslaved, anybody that has been subjected to injustice, they are our people. Israel has some additional problems. It’s the only country with echelons of Jewishness. When you have kids that want to marry and they are not orthodox, they must go to Cyprus to get married. What is going on here? That some people can be more of a Jew with more rights than others in Israel? So, there is a movement called Hiddush, to eliminate those distinctions and I am a part of that movement. I want Israel to be a just Jewish State. I believe that the laws that have evolved there have to do with people wanting to perpetrate their power, and making deals with those concerns that create distinctions between Jews. JP: What else would you like us to know about your foundation, Operation Respect? PR: You cannot deal with bullying and ridicule by just dealing with the perpetrator and the victim. It’s all about the consensus, about the bystanders, the climate and the determination of the culture of that particular group, whether it is a school, a country, a play group, whatever. If the cultural and ethical mores say we will respect each other, we will not put each other down, we will become sensitive to what each feels and how it is to walk in each other’s shoes. If you grow up with that point of view you will be a peace builder. It is the very definition of peace building. Don’t Laugh At Me and Operation Respect is a violence prevention and peace building program because it is trying to make an environment in which people accept each other. JP: Who put Operation Respect together and what is the core of its curriculum? PY: Education for Social Responsibility worked on it for twenty years. They created the RCCP. The Resolving Conflict Creatively Program was one of the signal programs the Clinton Administration used to help create a caring environment in school. It’s basically social and emotional learning which allows kids to recognize their feeling, empathize with other kids, to have a peace place, a sense of community and it provides service to the community and schools. It used very well known tools. The difference between our program and others is our program is free and uses music to create a sense of commitment to moving towards an ideal. JP: Can your style of marches work in a country like Egypt, an ancient civilization that in the past honored all religions? PY: The whole occupy movement emerged in Tahrir Square. What has occurred there is very hard for us to track. The Arab Spring was hoped to signal the coming of democracy to that part of the world. It is so volatile there it would be hard for me to even conceive of doing what I’m trying to do on both sides of the wall (in Israel). The country is in the midst of horrible violence. When I was in Jordan I saw what was happening in Syria because I played in Syrian refugee camps. Egypt now is so painful. It’s like Lebanon, a former flower of erudition. This is a much damaged, brutalized world we are living in right now. My job is to bring whatever I can from my own history, wherever I can operate best, which is geographically the United States, and then to bring through Operation Respect, a better, safer, more caring environment to children, where they learn to be responsible citizens of the world, who are responsible to their society, who embrace serving and giving, not just getting. We must teach children at 2 and 3 that. What we really want is love and respect from other people and we want to give it. Those are the gifts we have to teach our children. Those are the things in my music that I inherited from Pete Seeger and the Weavers and all the other great folk singers that influenced Peter, Paul and Mary and me. Note: Shortly after this interview a reception was held at the Manhattan Residence of Gloria Starr Kins, Editor-in-chief and Publisher of Society & Diplomatic Review, to honor Peter Yarrow. The President of Warner Music Japan, Takashi Yoshida, then offered to invite Mr. Yarrow to perform a concert in Tokyo, Japan, where he sang a powerful song inspired by the words of the Buddhist icon, the Dalai Lama, and transformed it into a popular CD entitled Never Give Up. This amazing project was orchestrated by the famous Japanese music producer, Kosaku Yamada. The Dalai Lama’s words were harnessed to become an anti-bullying song, containing a message against mental harassment and to encourage loving, forgiving your enemies and eradicating all dissensions. 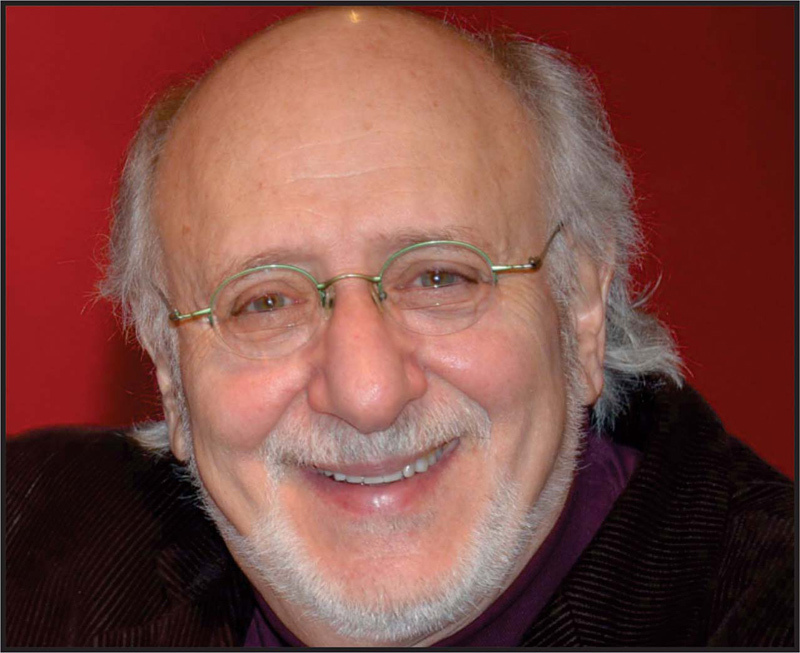 Peter Yarrow, and Peter, Paul and Mary have recorded under Warner Brothers label longer than any other artists. This Project with Warner Music Japan is also in collaboration with the Japanese Government, the American Embassy in Tokyo, the former Miss Japan and Peter Yarrow and focuses on the important children’s issues embodied by his foundation, Operation Respect.